Snow Sports participation is expected to increase drastically over the next few years. Due to the upcoming 2020 Beijing-Zhangjiakou Winter Olympic Games, Zhangjiakou City has devoted to promote the Ice and Snow Sports Industry in China. There have been 19 Ice and Snow Equipment manufacturers enter the Snow Industrial Park, including manufacturers like Canvas and Bloom from USA, Technoalpin from Italy and Sport Republic from Sweden. The person-time of skiing has also increased substantially in China from 2010 - 2017, with a 15% increase compared to the same period last year. The Ice and Snow Sport provides energy to the Ice and Snow Tourism Industry, which then pushes the development of Snow Town as well. China currently has 26 snow towns, with an estimated increase to 40 in 2020. It is expected that the tourism market will explode at this time. It is also predicted that by 2022, there will be 800 ski resorts in China, and by 2025, more than 50 million Chinese will be involved in the sport. 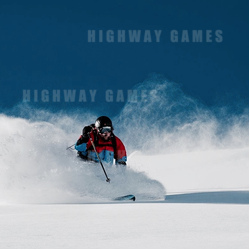 For more information and forecasts about the Ice and Snow Sports Industry in China, visit the China (Guangzhou) International Game and Amusement Expo held in May 9th - 11th, 2019.